When you think about race guns there are a few things you want from it. 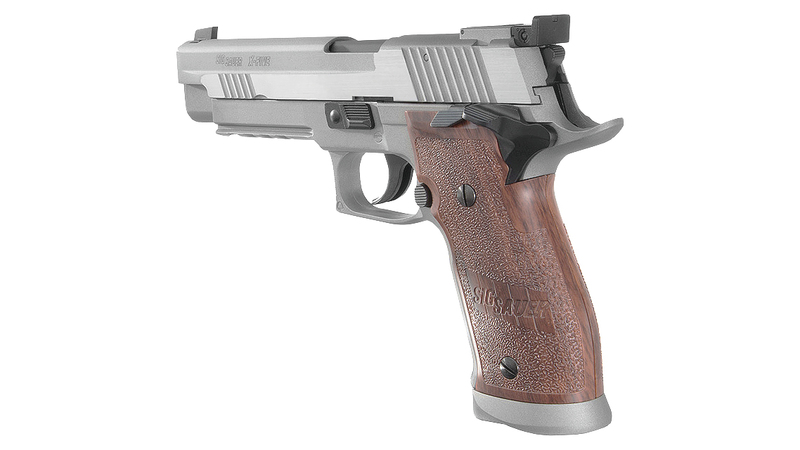 Good trigger, Good grip feel, and easy manipulation. 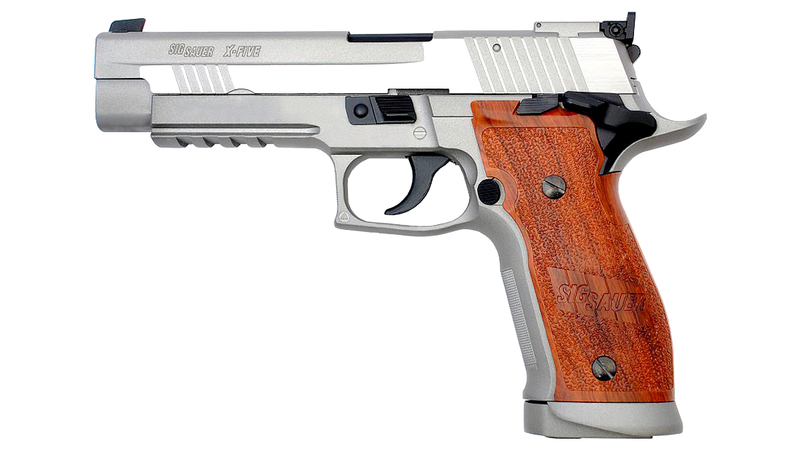 In airsoft very often when we think of 'race gun' you can imagine guns like the TM Gold Match, the CZ Shadow, and guns of that sort. 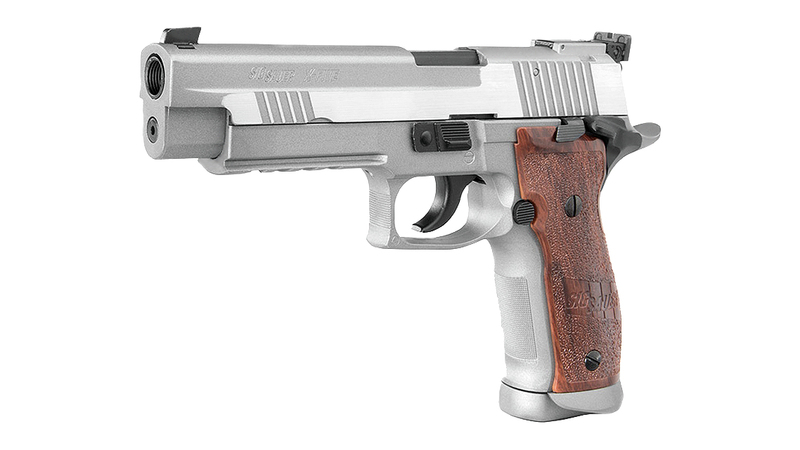 Its not everyday that the Sig P226 comes to mind. 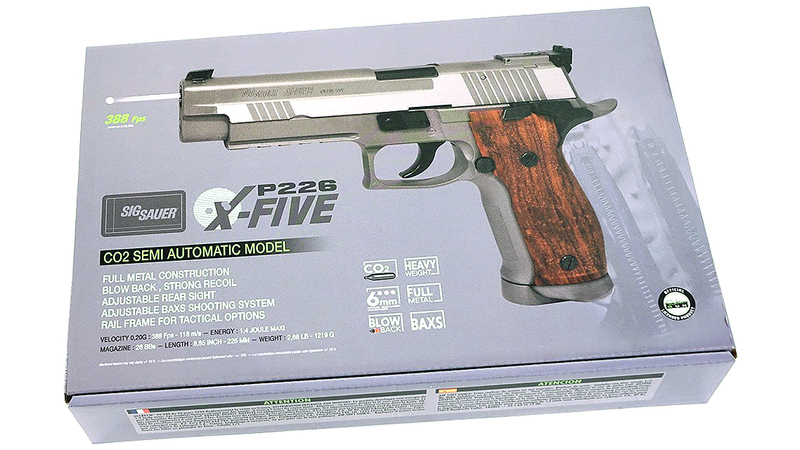 However, there is a P226 that can, well at the very least SHOULD fit the build and that is the P226 X5. 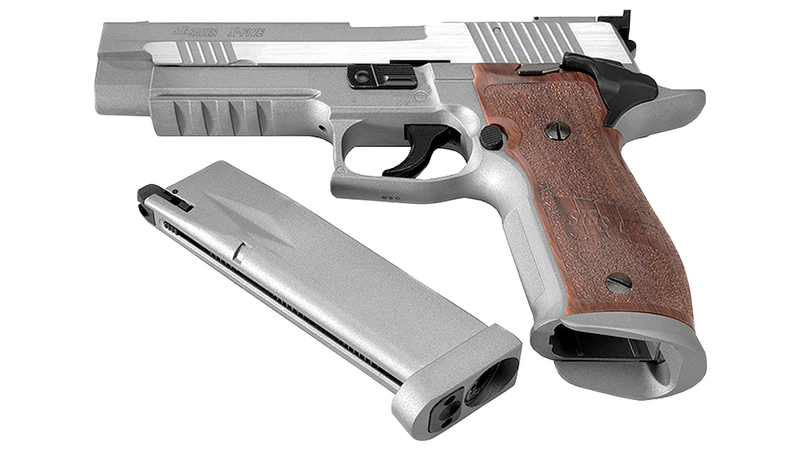 Touted to be a competition style pistol, it sure does seem to have those external features that make it out to be one. 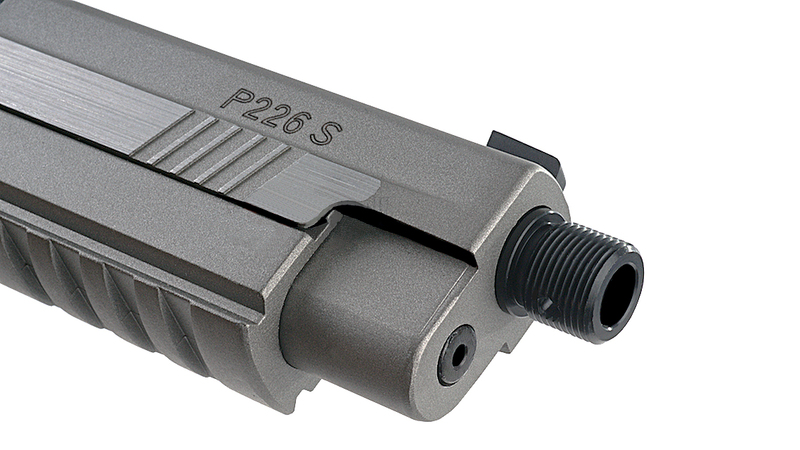 For this video, I have brought out my personal P226 to show you guys some of the difference between the two of them. 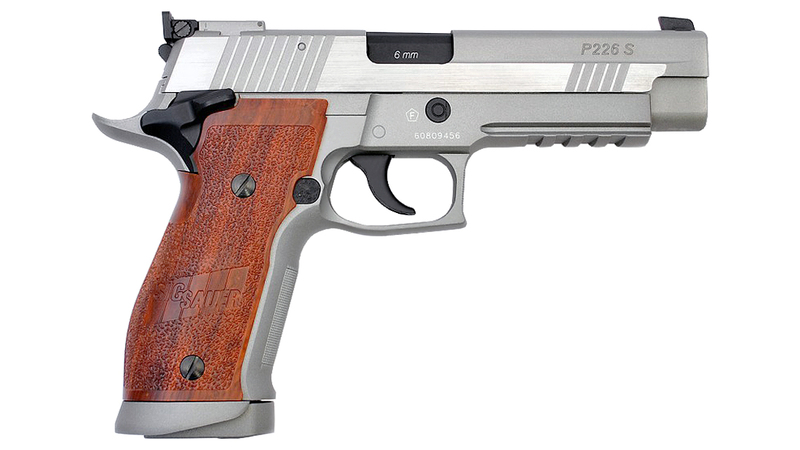 The regular P226 as you see here has a slightly shorter slide and it does not have the front cocking secretions as seen not the X5. The X5 also has clearly deeper rear secretions than that of the regard 226 as well. 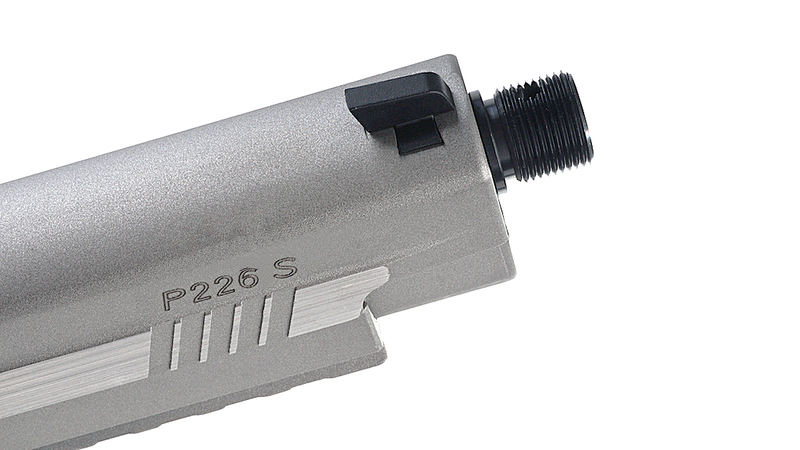 You will notice that on the regular 226 the rear sight is notched and is a 3 dot style with the sights being slightly low profile. The X5, on the other hand are blacked out and anything by low profile. 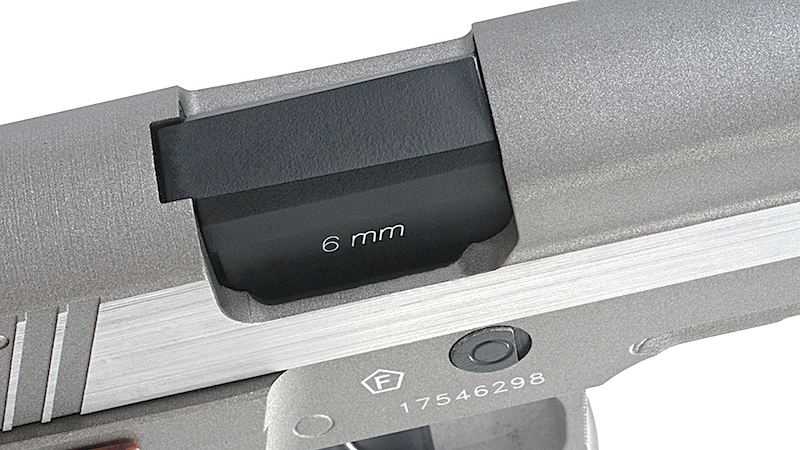 The rear sight is also adjustable for elevation. The frames look quite similar on both but there are also some noticeable differences. 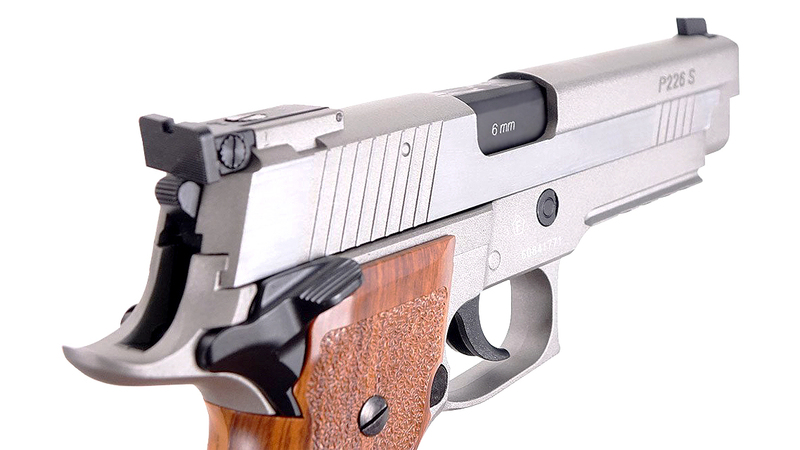 ON the regular 226 there is an obvious de-cocker next to the slide release and on the X5 there is no de-cocker but there is an ambidextrous safety. But the magazine release and slide releases are placed at the same location. 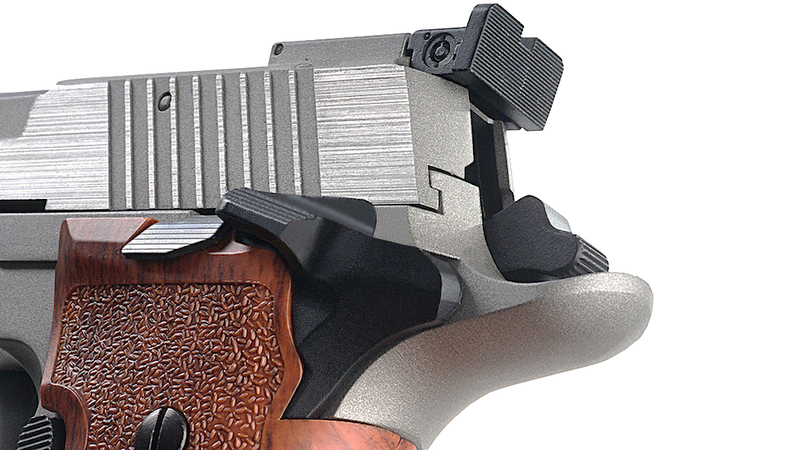 Trigger guard wise they both look about the same sized and the magazine releases out of both of them as smooth as butter. 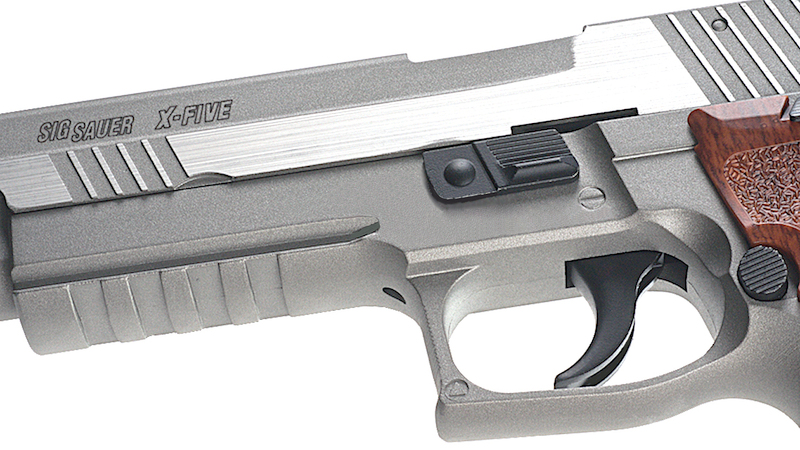 The flared magwell helps make reloads much easier and quicker. One definite constant with both guns is the take down for cleaning and adjusting the hop up. You move the slide back like so, push down the throw lever and slide the slide forward. 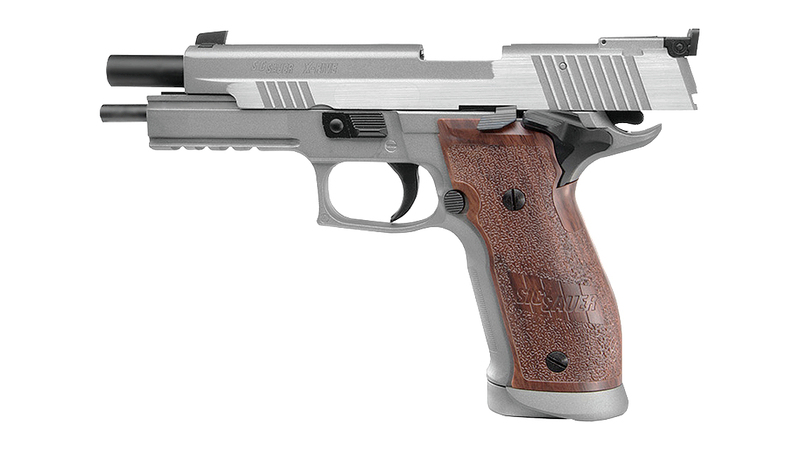 As a final little point, the X5 also has an ever so slightly longer rail than the regular P226.